A triple of a different nature entered my domain. Gary brought me his prized "Kwaka" to deal with an electrical problem. It was not a major repair and was put right pretty quickly. I had forgotten what an incredible sound these bikes make, especially when enhanced by the Denco chambers this one has. The riding experience was quite something. Although the bike lives up to it's legend for developing rather silly horsepower, albeit within a 1000rpm power band, and then feels more like a 750, it is riding it leisurely around town where it elicits the most looks. The thing sounds like a dragon with 3 nostrils gargling whiskey. Okay - you had to be there.. 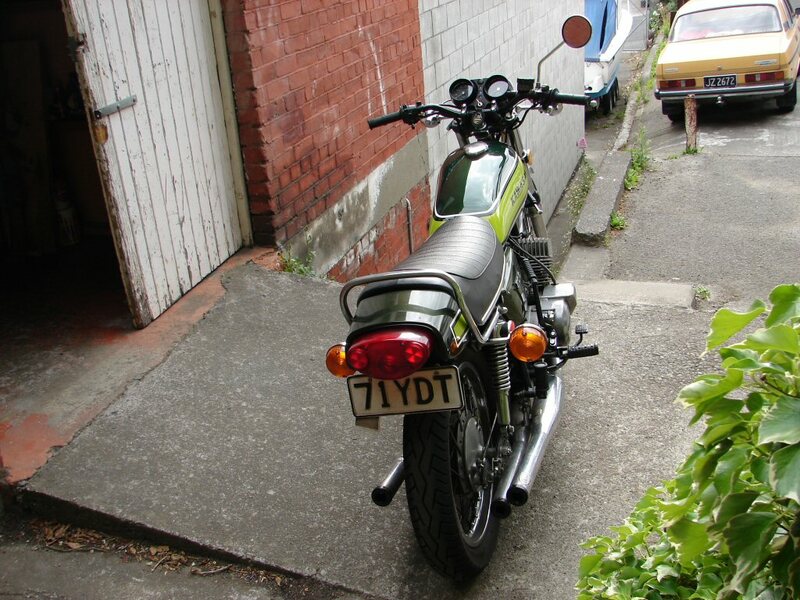 This bike came back in September 2018 with carb troubles after a long period of storage. 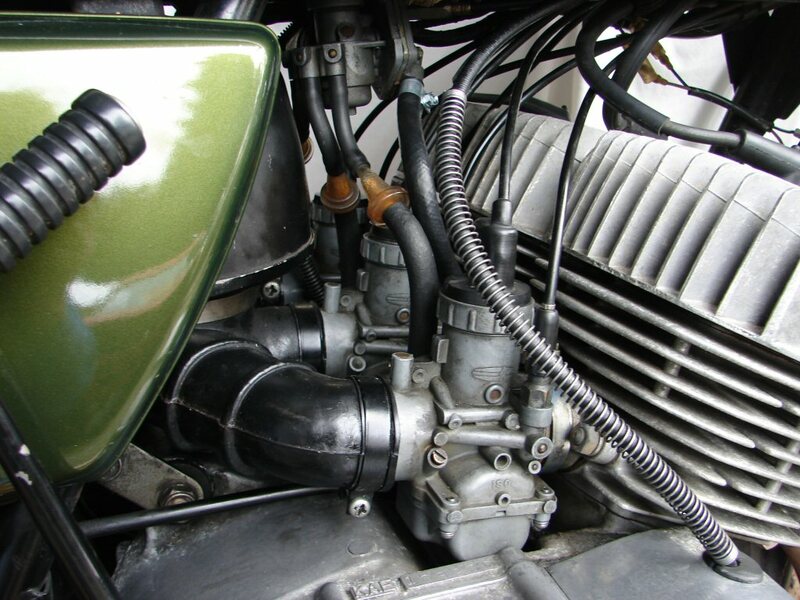 The problem was traced to the carbs which had floats which were stuck by old fuel residue. I had no previous experience of Mikuni carbs, but they proved to be pretty much a Japanese copy of an Amal, so I soon felt right at home. During the cleanup process I discovered that one carb had a blocked pilot jet which appeared to have been so for many years. 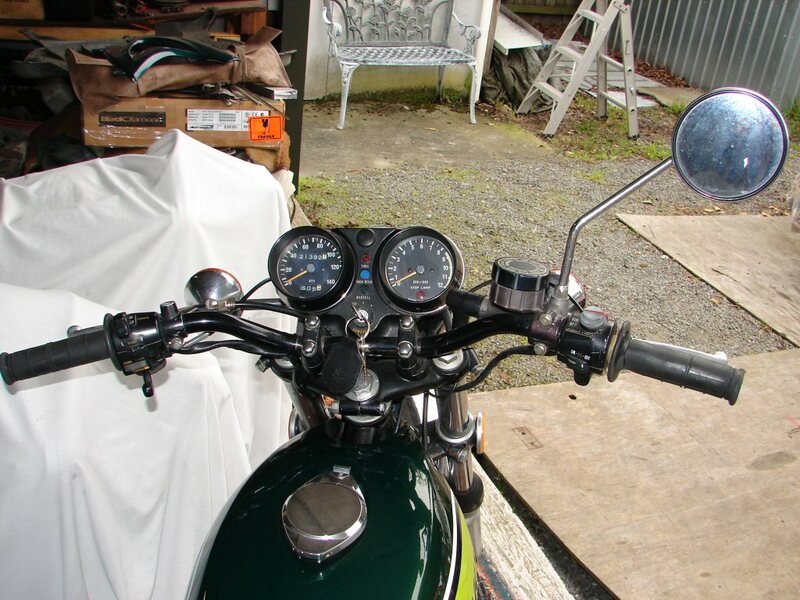 After trying several methods I finally got the jet clear, and tuned the carbs again. The engine was now much happier than ever before in my experience, idle was smooth and initial pickup was more linear. Most pleasing to have made more improvements than expected during the repair process. 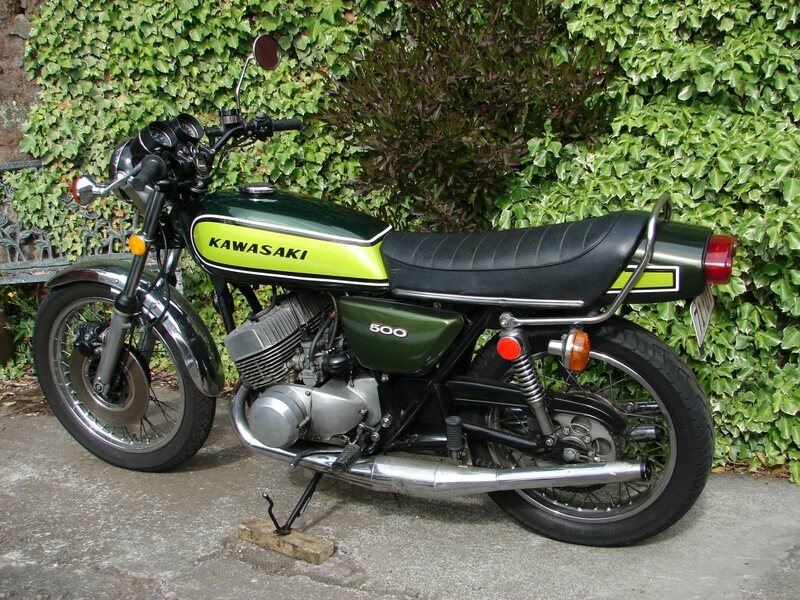 Many road tests of the day praised these and other Japanese bikes for having very clear instrument layouts. It's true. Those clocks are so easy to read while riding a wild thing that it has to be ackowledged.